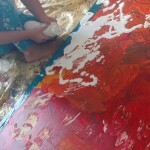 4 stages of one painting. 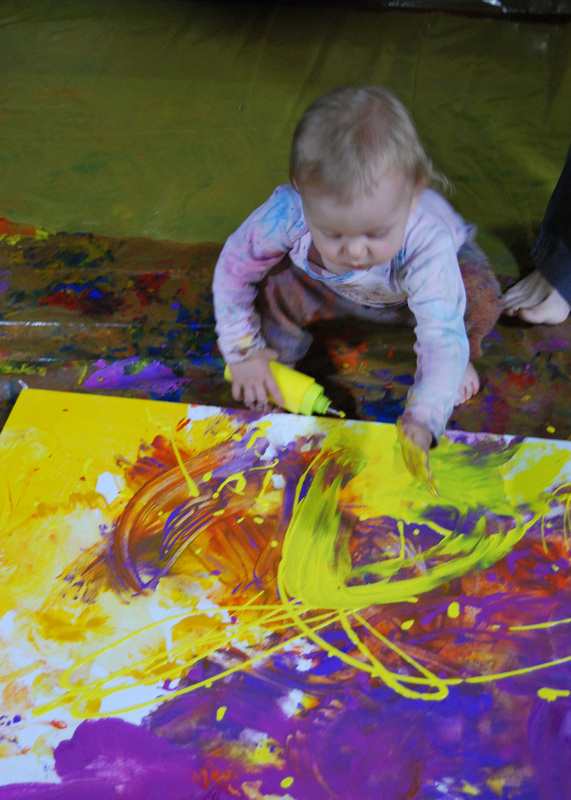 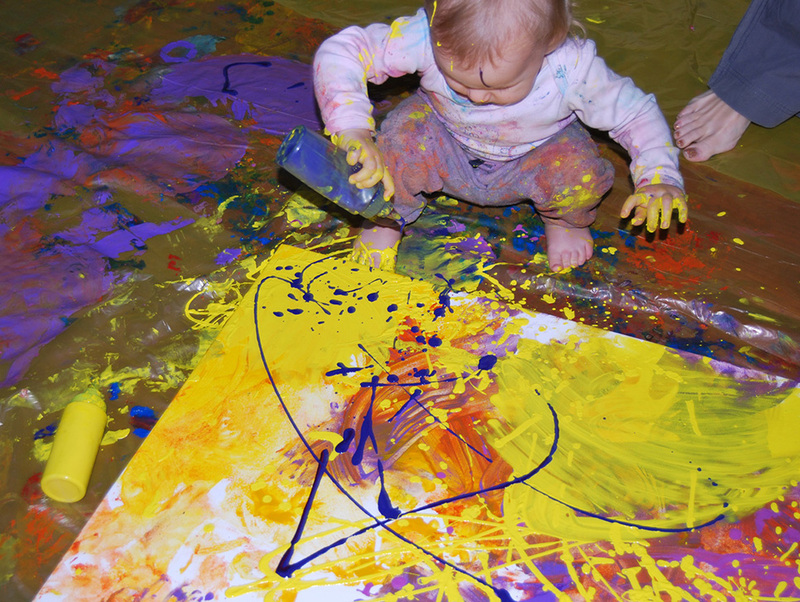 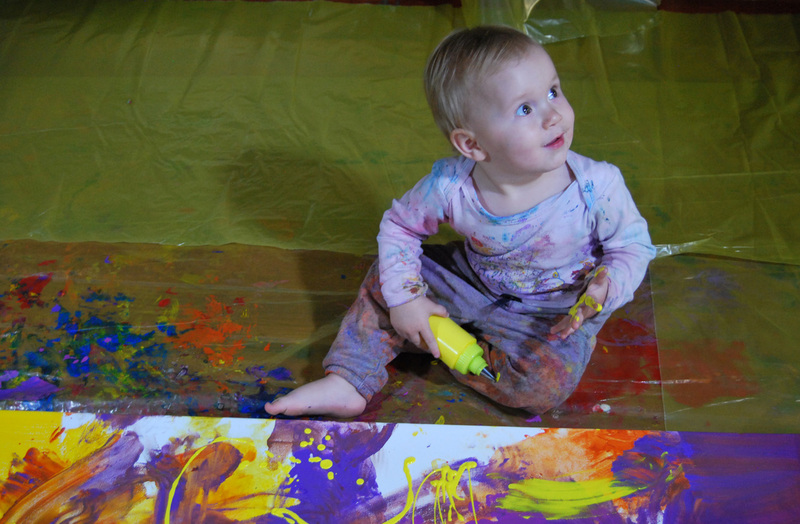 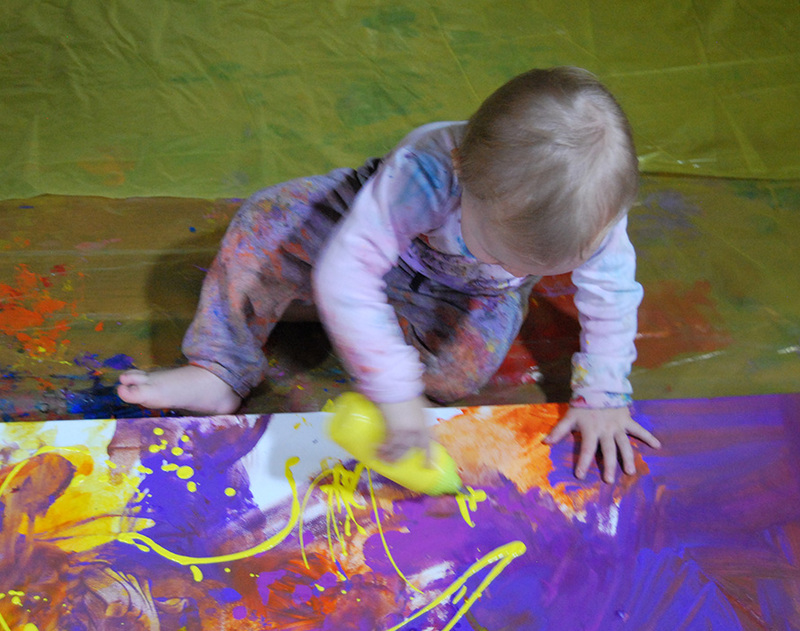 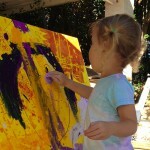 Some techniques of painting to show your baby. The very 1st painting ever – 1 year 3 months. 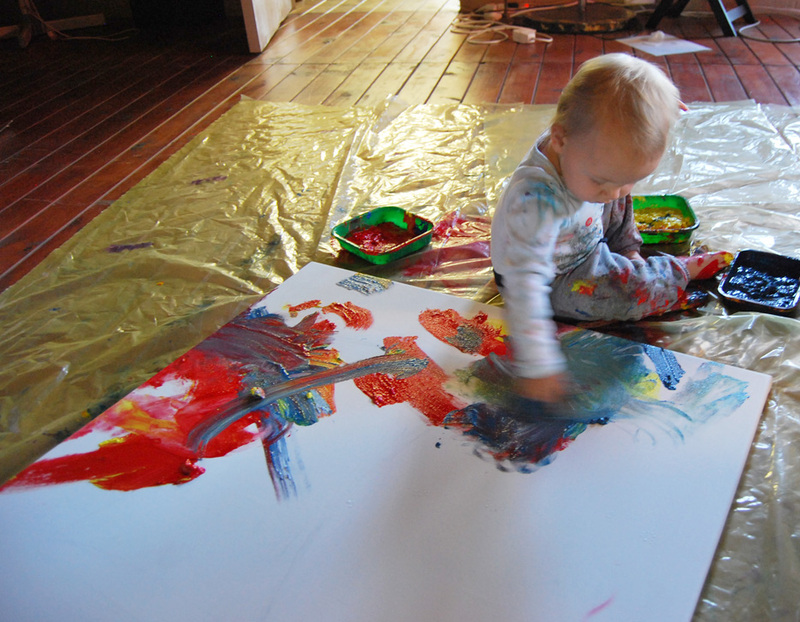 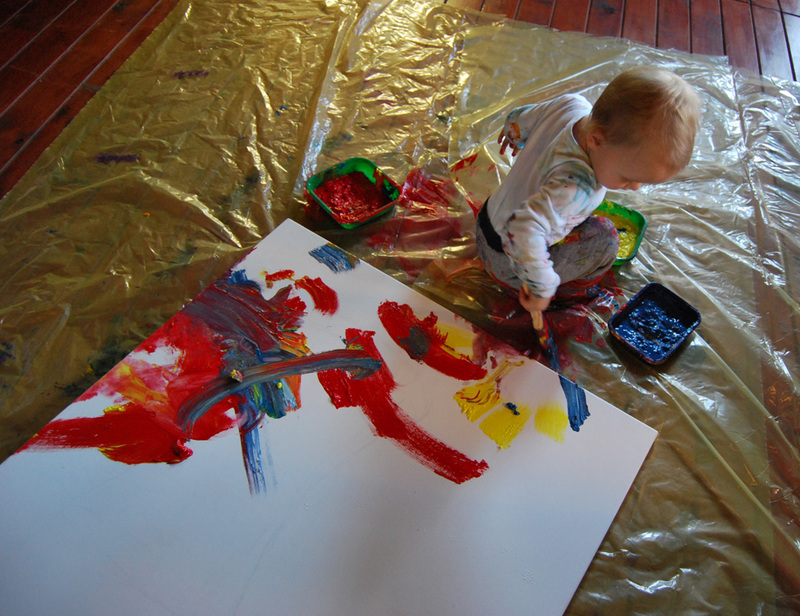 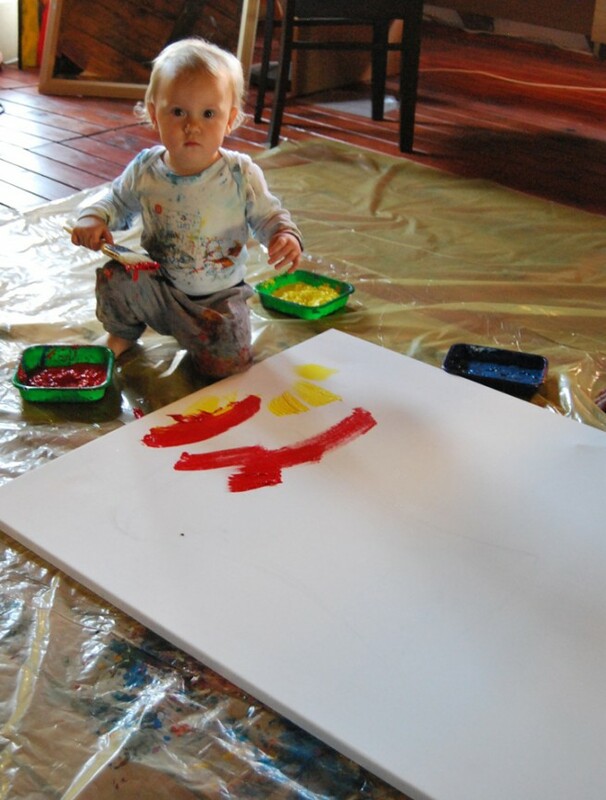 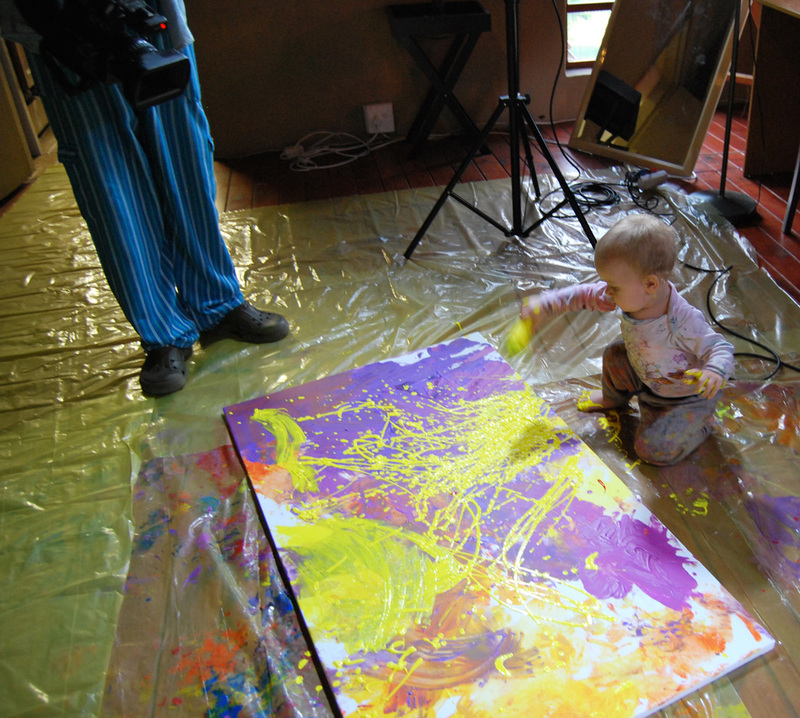 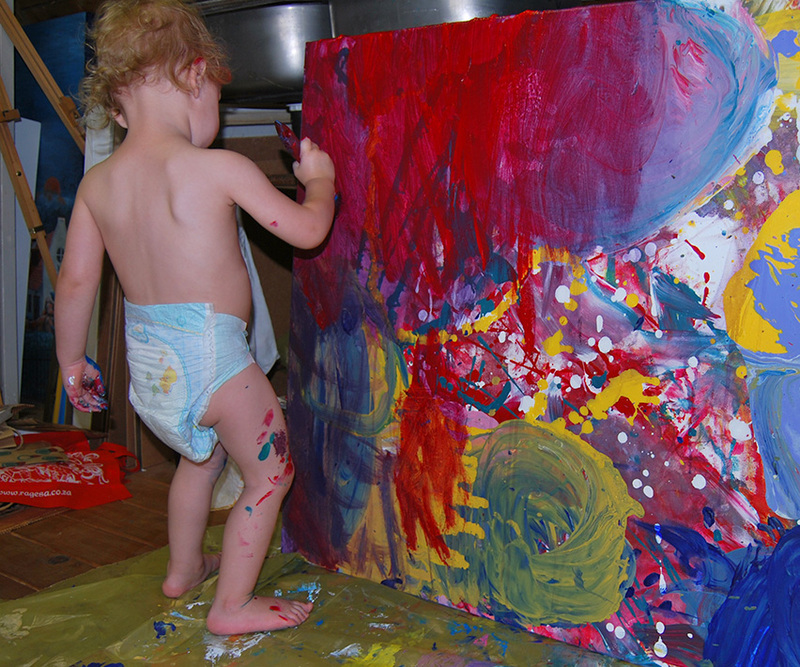 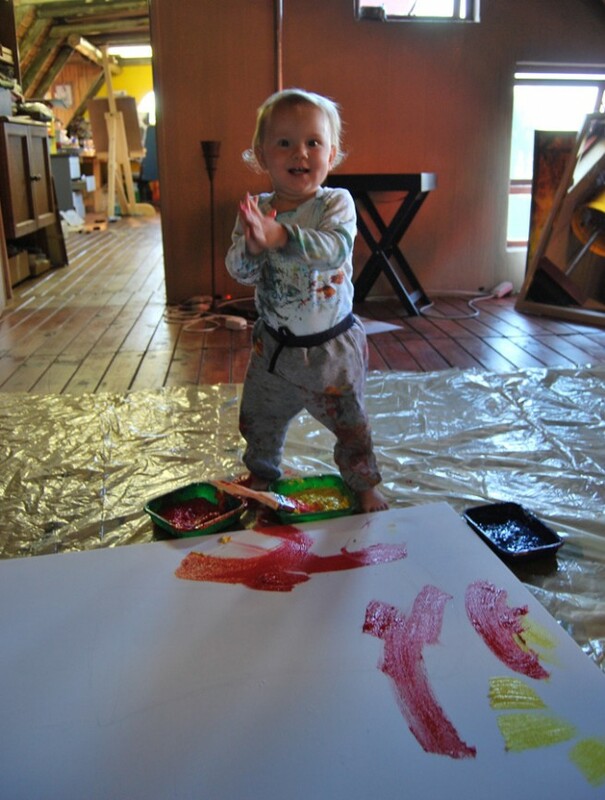 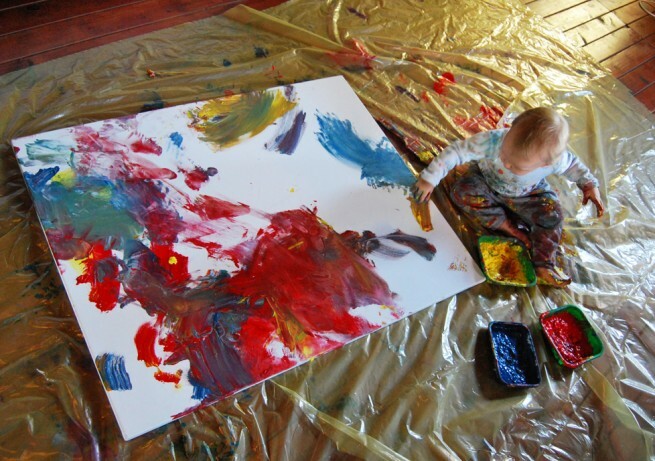 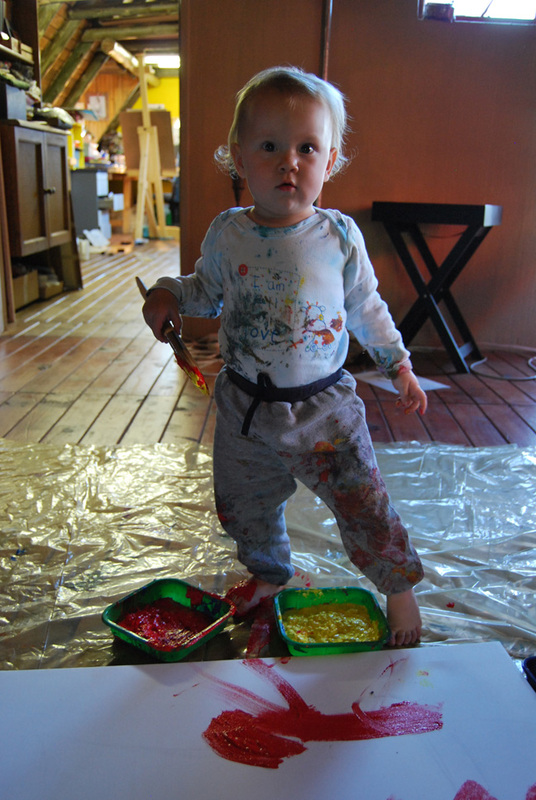 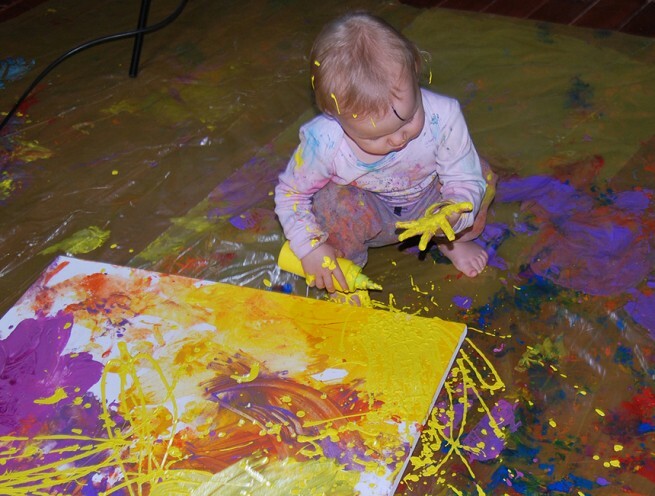 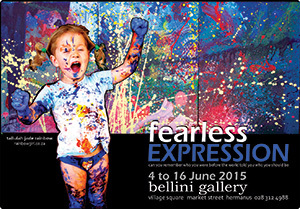 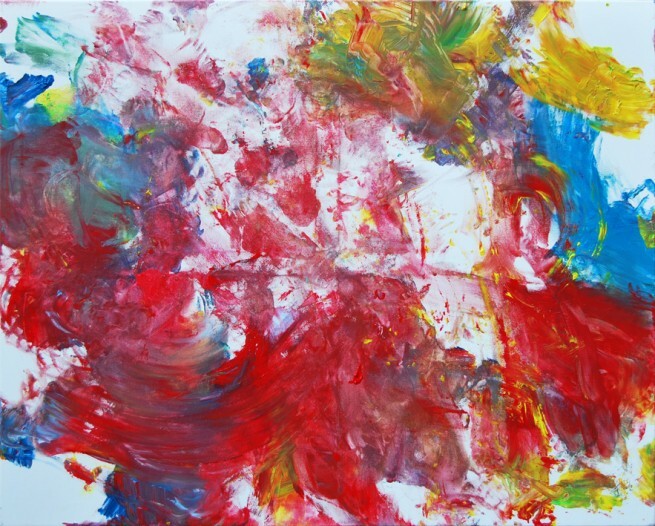 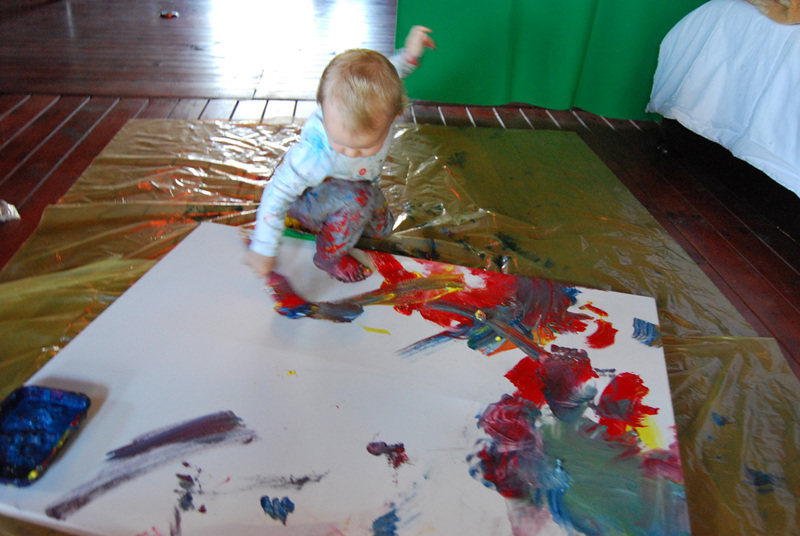 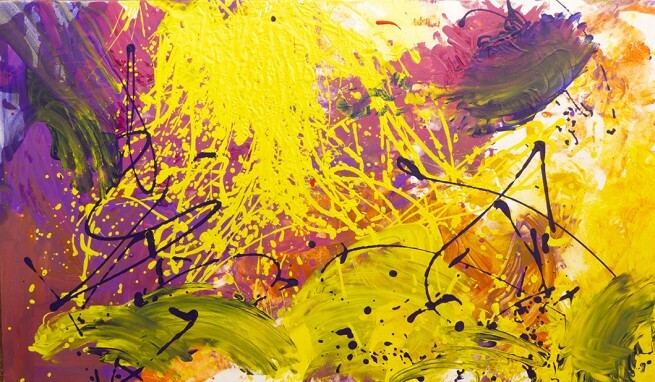 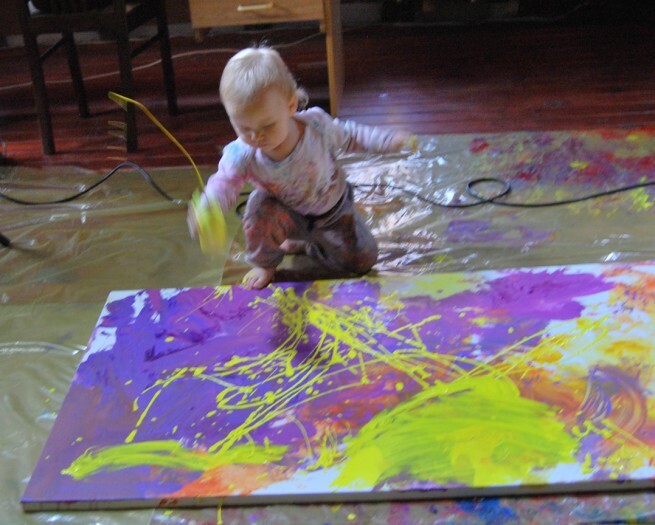 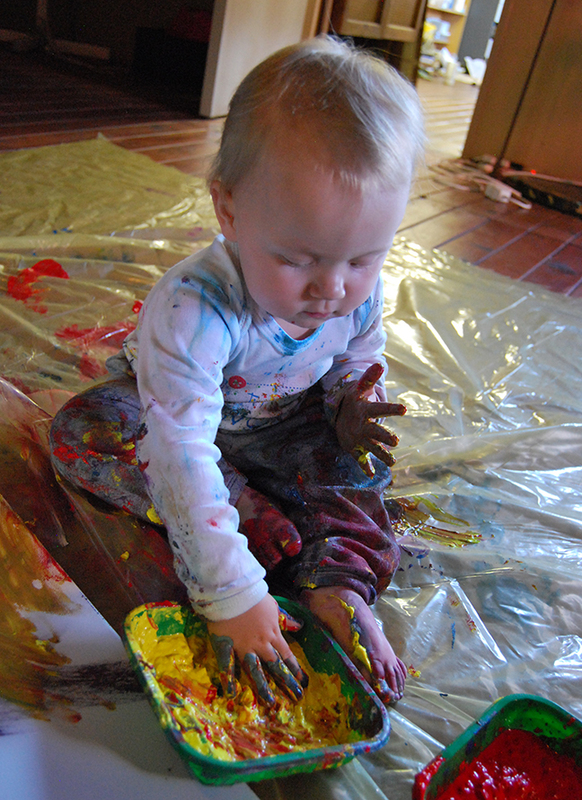 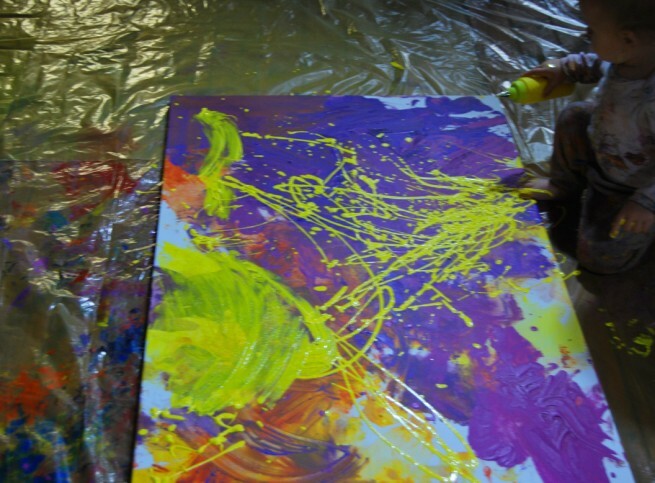 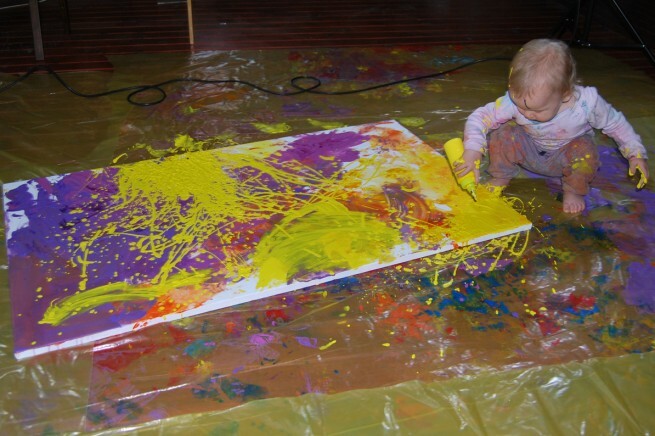 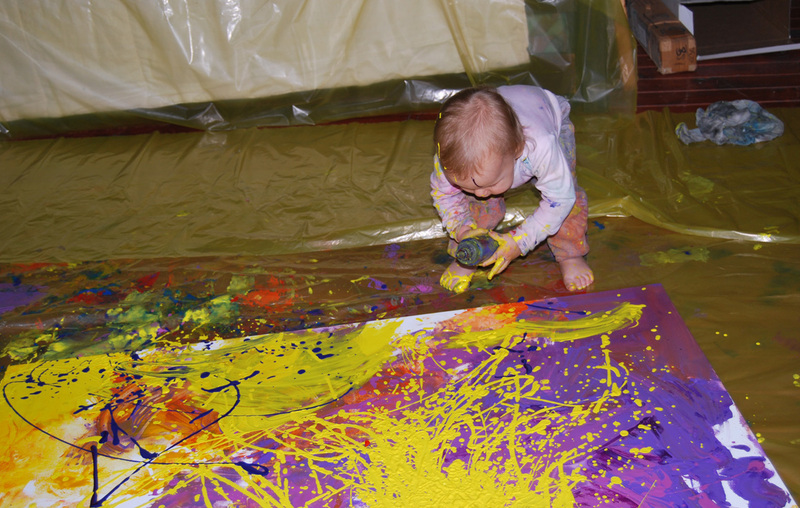 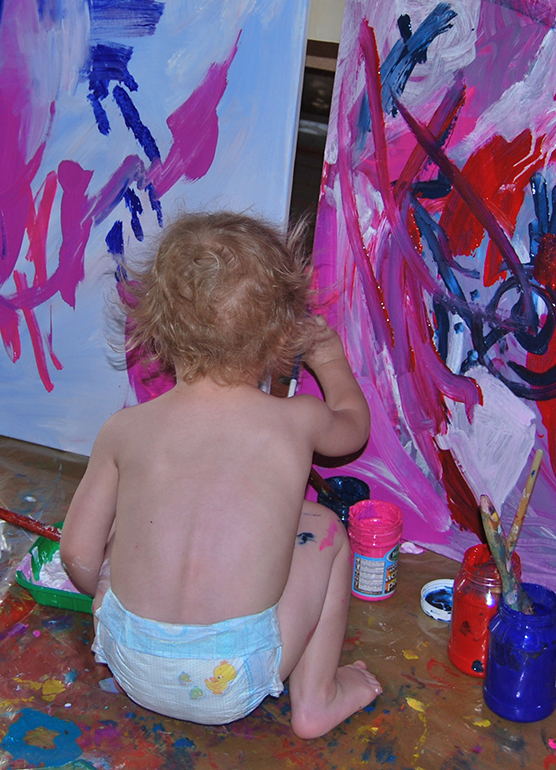 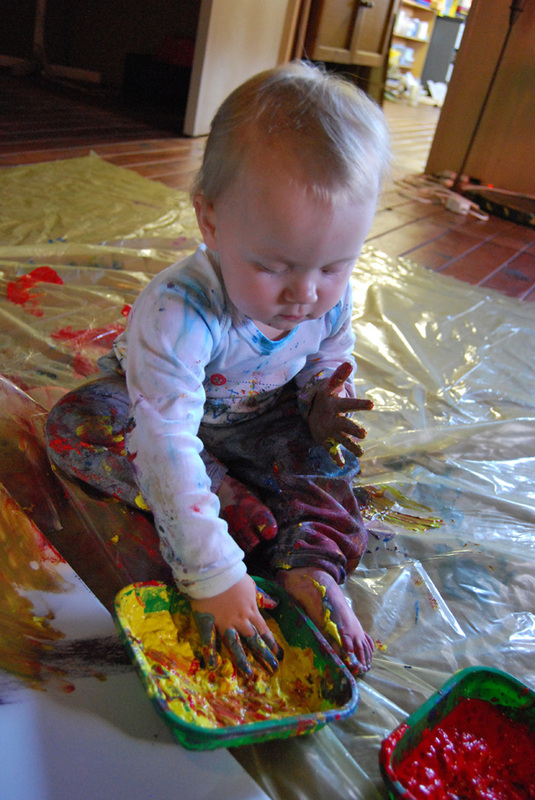 The very first painting ever Tallulah created at the age of 1 year 3 months. 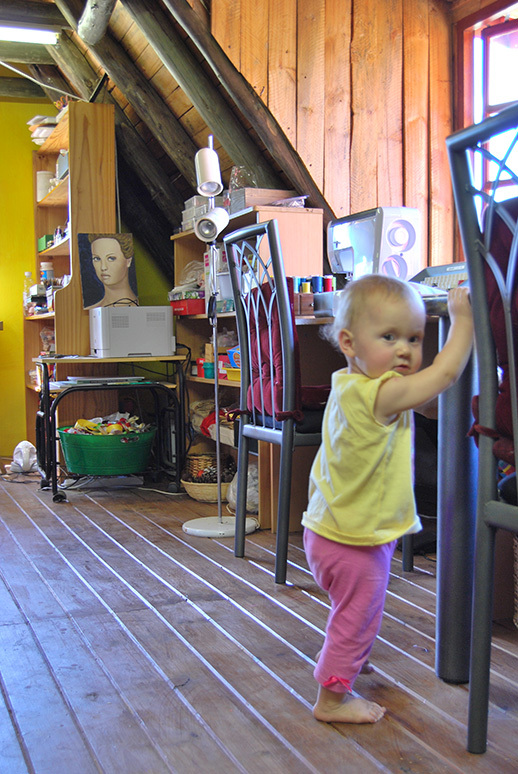 She just started walking and felt that she is ready. 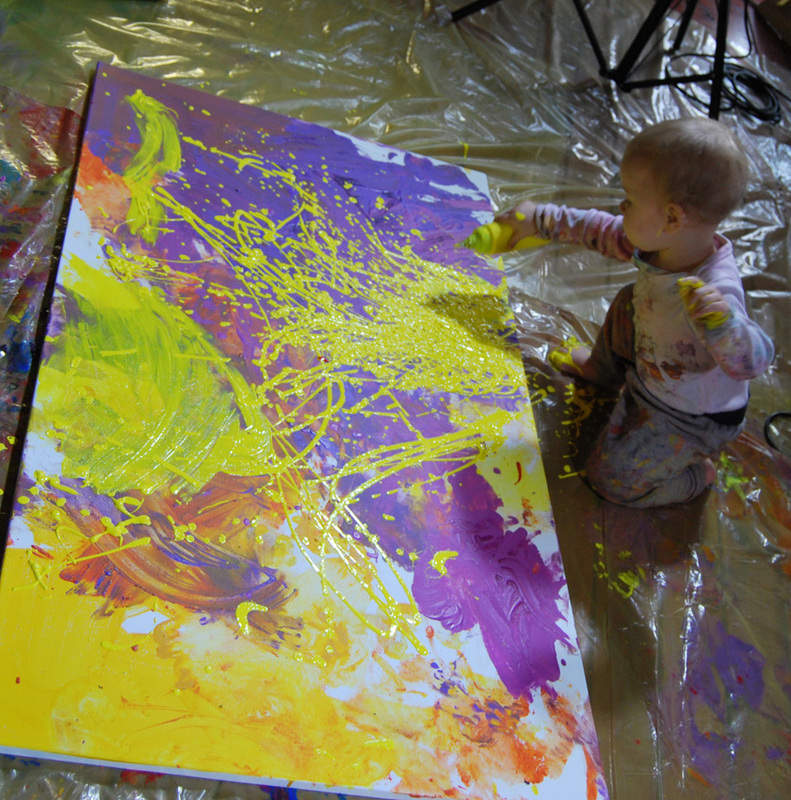 A year later she added another couple of layers to this canvas, which I personally regretted, although the outcome was beautiful. 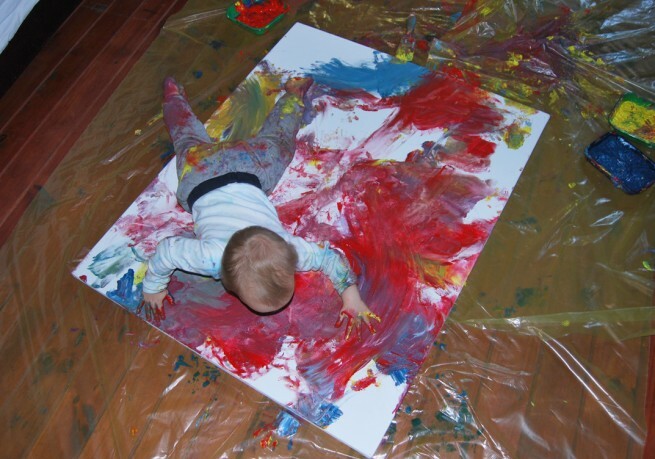 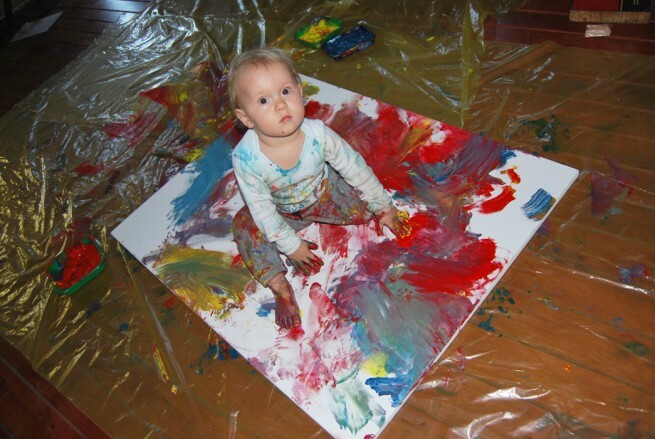 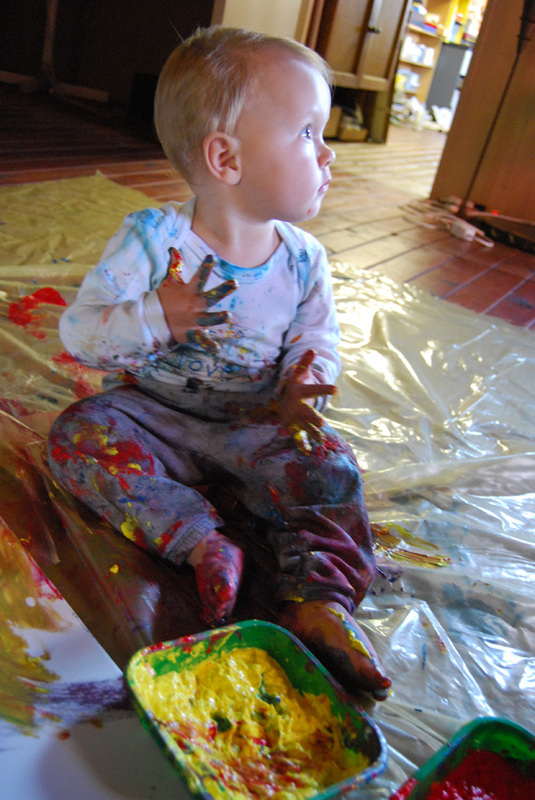 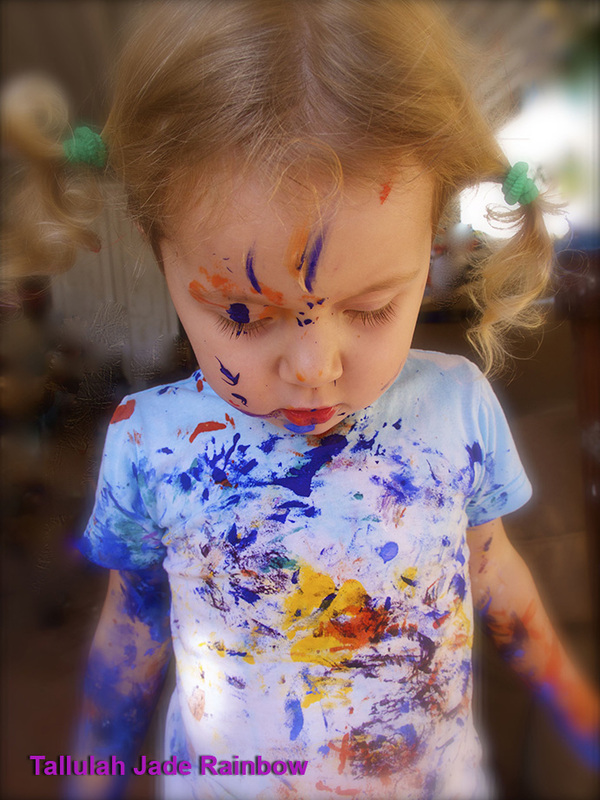 I should have saved it as is, and recommend you to do so with your child’s first painting.